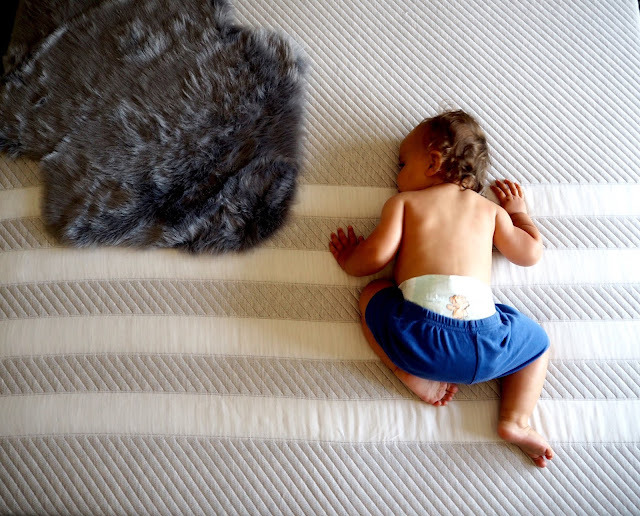 Hello Day 10 of Blogmas! I can’t believe I’ve posted for 10 days in a row! Just 15 days to go... I think this may be when I start to struggle though, however... I do have a fair few posts to go up still so here’s hoping I can keep it up until Christmas day! If you have people to buy for who you know love their makeup, you cannot go wrong with getting them eyeshadow palettes. Even if they have similar ones, you just can’t go wrong with adding another to the collection. I’m a little obsessed with Morphe palettes and have started to build a small (growing) collection with another one on the way (39A!) but, it’s just because they’re so good. The 35 pan eyeshadow palettes are so reasonably priced, especially for the quality of them and they’re only £23.00 available from Cult Beauty - There are so many different colours available too with brights, neutrals, shimmers, mattes and a combination of coloured palettes too. 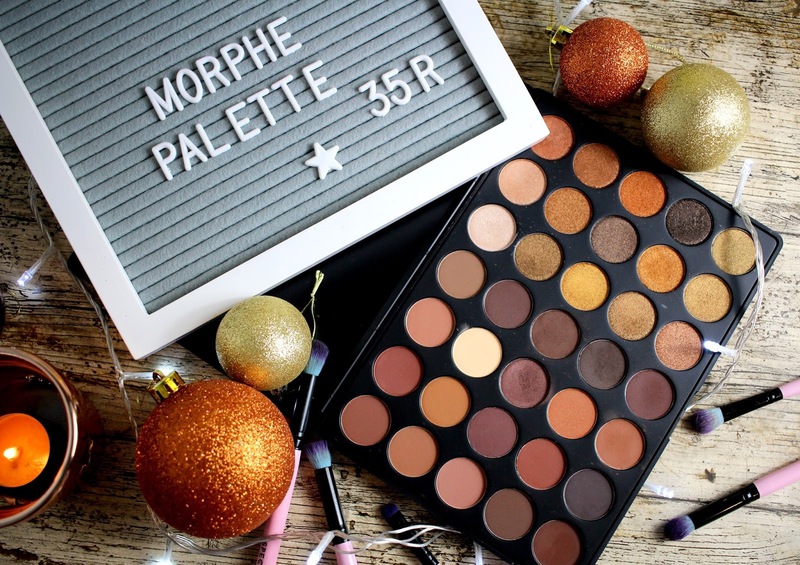 If you didn't want to get these ones, you can also grab some of the newer 15 pan palettes for just £15.00 or the 19 pan palettes for £19.00 but these 35 pan palettes are better value for money with each shadow working out to be around £1.50 each. 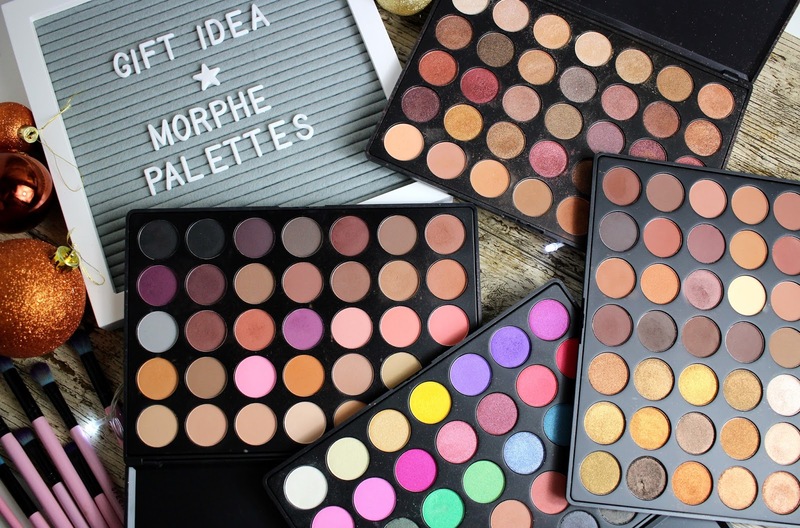 I’ve taken my palettes as an example to show you the shades available and the range of colours you get in each - the pigments of all of the shadows is incredible, the shimmers are beautifully buttery and leave such high pigments on your skin and the mattes blend amazingly, creating the perfect eye looks. I find some of the coloured shades to be a little powdery but if you use a primer on your lids, they will pack on nicely and you can easily blend them out too. The 35R ‘Ready, set, Gold' palette is the perfect Gold toned Neutrals set with half shimmer shades and half matte shades. 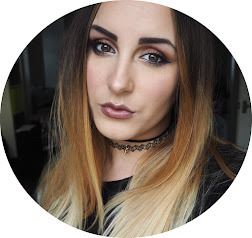 It’s great for someone who doesn’t like too much colour or gets scared by the thought of doing something different with their eyeshadows. All the shades look and work together beautifully. This is my most recent purchase as I bought it when it was on offer for just £16.80! 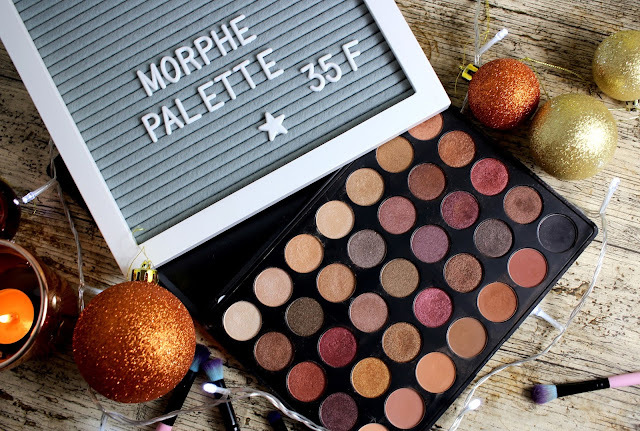 The 35F ‘Fall into Frost’ palette was the most lusted after palette last year with it selling out within hours of being re-stocked. I managed to get my hands on it just before Christmas and I’ve used it so much but there is still so much more use left in it. 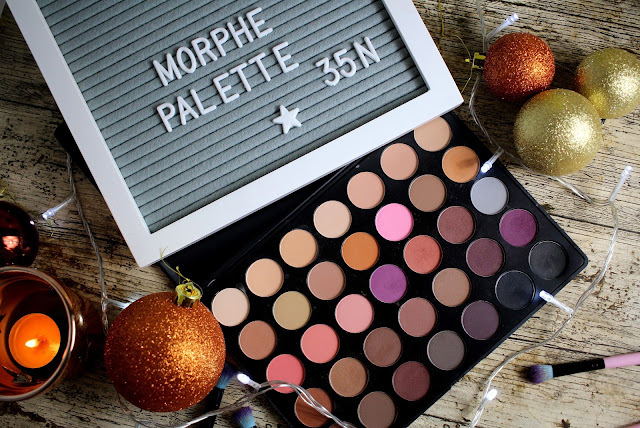 With gorgeous Cranberry shades and a few matte transition shades, you could create some really nice looks with this palette. I love the lighter shimmer for inner corner highlights! 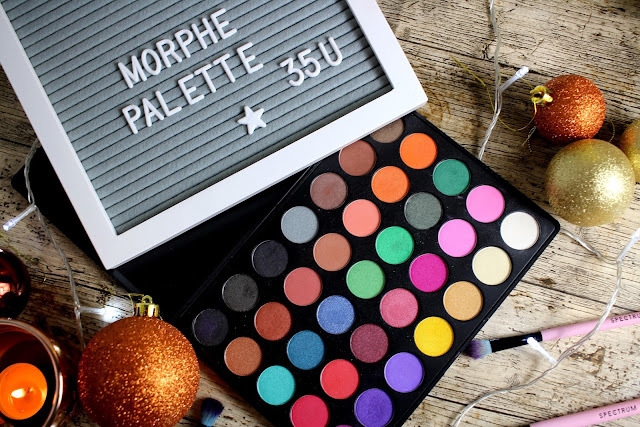 The 35N ‘Colour Matte’ palette is probably one of my least used palettes as it is all matte shades. 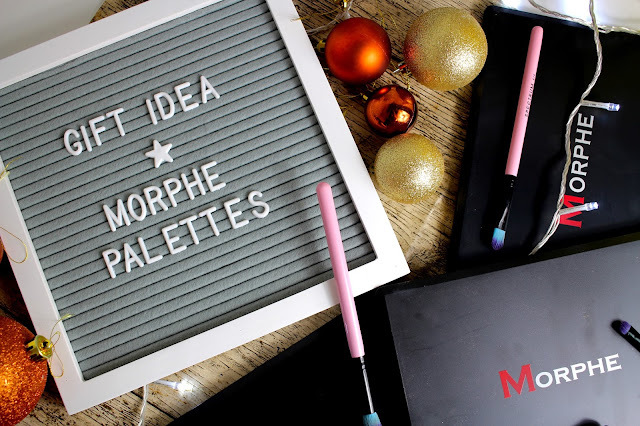 They are a lovely selection, a little like the Naked 3 palette, with pinks, plums and lighter skin colour shades, it’s great if you like minimal or wanted it as an easy ‘go-to’ palette. It’s also perfect for transition shades as it’s full of them! The 35U ‘Multi-Colour Shimmer’ Palette has to be my most loved palette of them all. I just love the selection of colours and the fact that there are both shimmers and mattes in it too. The pigmentation of some of these colours is crazy but others aren’t as so. I find that if you use a primer or a little setting spray on your brush, it can help the colour deepen a little bit but it’s perfect for someone who loves playing with colour and loves to try something new when it comes to makeup.